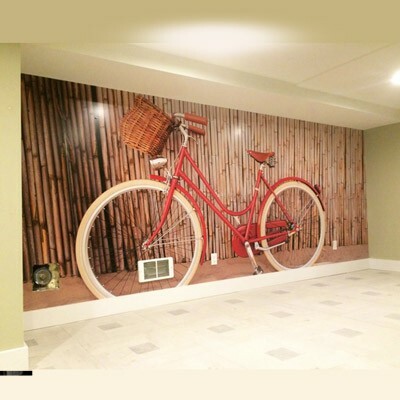 • Choose a size below: 8x8 ft., 8x10 ft., 10x10 ft. The Stand is made of 1.625" diameter telescoping poles which extend out to adjust to the size of the banner. Banner is printed dye sublimation on a scratch resistant fabric, it's washable and curl free edges. 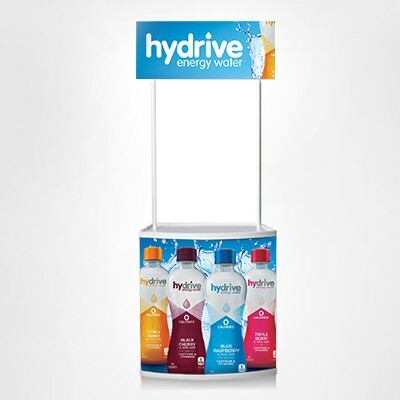 This stand is used at events for a quick back wall design, it's lightweight makes this banner stand portable and easy to market your brand at press conferences, sporting events, movie premieres, film shooting and more. What is Step and Repeat Banners? At a red carpet event, you might have noticed a banner in the backdrop of the celebrity photos, with event logos printed all over it. 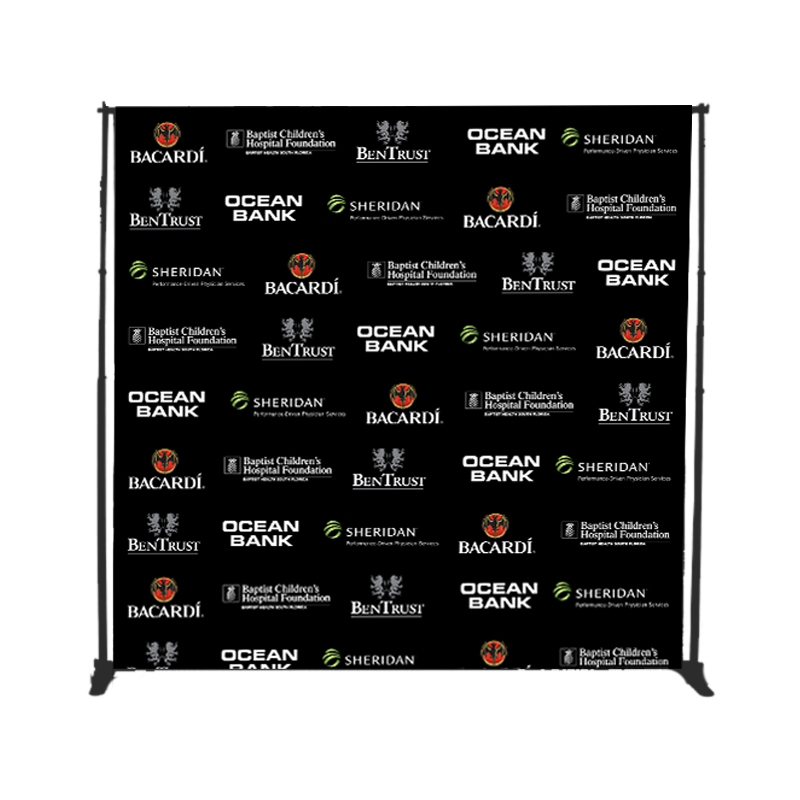 It is basically a publicity backdrop used for event photography, printed with repeated logos such that the event brand or its sponsor’s logos are visible in pictures at red carpet event. The main use for step and repeat banner is creating brand awareness. Event organizers usually charge sponsors to put their logo to be displayed or for the company name to be featured in the background of event photos. Now, these event photos get shared through various platforms like newspapers, magazines, and even selfies which get shared on social media for free, hence creating a ripple or viral publicity of your brand at no cost. From past few years Step and repeat backdrop banner are no longer being used just for Hollywood style red carpet events, rather because of the fact they are big and form a nice noticeable back wall, we can also print your custom graphics or images which can be used as backdrop at the trade shows, conventions, sporting event, fundraisers, product launches, grand openings and even at weddings and birthdays too. Step and Repeat backdrops can be made on many materials. The most common are either vinyl or fabric, now based on our 12-year experience in Step and Repeat Printing. We have discovered that Fabric is the best material to use. Why? Because the fabric is less likely to have hotspots in photography, which means it absorbs camera flash rather than reflecting it. Vinyl, on the other hand, will reflect the flashlight. The fabric is light in weight and does not curl on the edges and gives a very smooth finish, whereas vinyl is heavier and will always curl on the edges. Our banners are printed dye sublimation on a scratch resistant fabric and it's washable, we use latex ink which not fade ever. So you can use them over and over again. 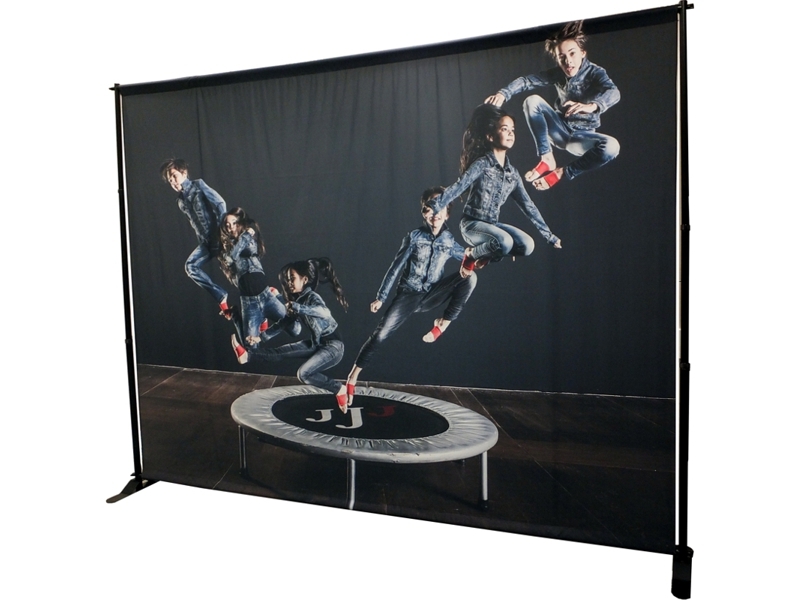 The Stand is made of 1.625" diameter telescoping poles which extend out to adjust to the size of the banner or your booth. Based on your need you can choose the option to order hardware and graphics or graphics alone. Select one of the available banner sizes, add quantity, add banner lights (if you need) upload artwork and select the desired shipping option and check out! That’s it you’re DONE! 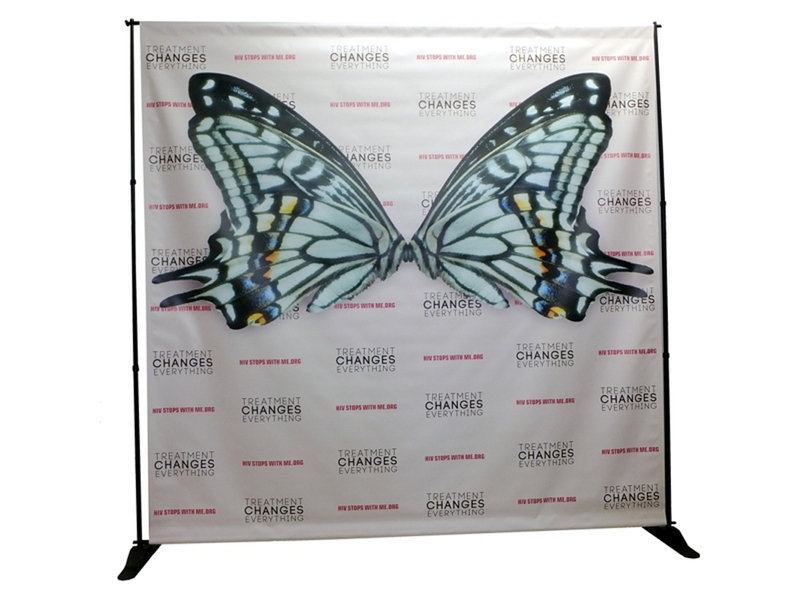 Do consider ordering a step and repeat backdrop banner if you want a banner that is easy and quick to set up and remove. These are affordable high-quality backdrops that last for multiple usages. 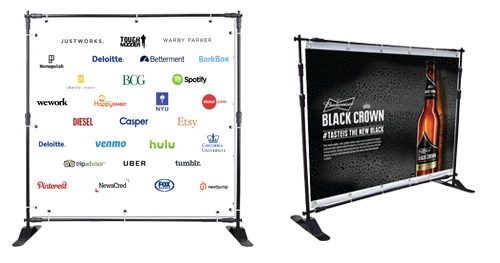 Alternately if you need even bigger size back wall or backdrop, we suggest you order or consider our pop up banner display, which is available up to 20 ft. Most of the step and repeat banners ships within 3-4 bussines days after artwork approval. or faster when applicable. Q. How long will take to set up the stand? A. The stand is easy to set up with instructions included and will take tops 15 min. to set it up completely, you will need a phillips screwdriver for the foot only the other poles has a screw and it puts toghether by hand.